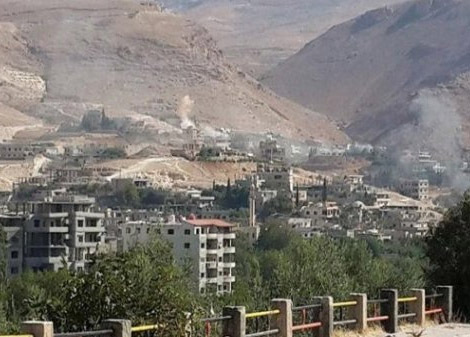 On Monday 2 January, The Guardian published a report entitled ‘Hundreds of Syrians flee as Assad’s forces bomb Barada valley rebels.’ In its original version, the report quoted Rami Abdul Rahman, the head of the Syrian Observatory for Human Rights (SOHR), as saying that the Wadi Barada area near Damascus was excluded from the recent ceasefire between the Assad regime and the rebels because the rebels in the area were from the ‘Fatah al-Sham Front.’ This was the exact same justification that the regime had used to continue its attempt to seize control of Wadi Barada, which is the location of an important spring supplying water to Damascus. The regime and its Russian ally have often used the presence of the Fatah al-Sham Front (formerly affiliated to Al-Qaeda and known as the Nusra Front) in a certain area as a pretext to break ceasefires and bomb civilian areas. The Fatah al-Sham Front has not in fact been present in Wadi Barada since 2015. The local council of Wadi Barada and the medical, relief, and civil defence authorities in the area have issued a joint statement denying the presence of Fatah al-Sham. The statement describes the fighters in the area as ‘mostly affiliated to the Free Syrian Army, with the rest civilians who took up arms in self-defence.’ The Free Syrian Army in Wadi Barada also issued a statement on Monday calling on Turkey and Russia to ‘stop this clear violation of the ceasefire.’ It has also stated that it would suspend participation in the ceasefire if the attack on Wadi Barada continues. Following publication of the Guardian article, the Takkad (Verify) website published a report quoting the Wadi Barada Media Centre directly refuting Abdul Rahman’s claims, and the Guardian article was updated to reflect this. It is indeed shocking that the head of a human rights organisation has effectively justified the Syrian regime’s breaking of a ceasefire agreement and bombardment of civilian areas. However Mr. Abdul Rahman and the SOHR have come under a great deal of scrutiny before. On the other hand, the Syrian Observatory for Human Rights seems to have focused on being quoted in the media and appears to have been successful in that mission. They are now probably the most well-known Syrian human rights organisation. But a search of their website reveals that there is no information on their methods or how they gather information. They have published information before which appears scarcely credible, claiming in December 2013 for example that deaths among regime soldiers exceeded deaths among rebels by a rate of approximately 2:1 and deaths among civilians by a rate of approximately 4:1. This was at a time when the regime had a monopoly on aerial power and heavy weaponry, was using it indiscriminately on civilian areas, and had already committed notorious massacres of civilians such as the ones in Banias, Houla, and Tremseh. Mr Abdul Rahman, who lives in Coventry, has been the subject of an article by former French diplomat Ignace Leverrier, published in Le Monde in 2014. In the article, Leverrier notes that the SOHR did not publish any reports, doubts that it had a network of informants on the ground in Syria, as other human rights organisations do, and claims that SOHR is essentially a one-man operation. Leverrier also mentions that members of the Syrian opposition had suspicions regarding Abdel Rahman’s sources and his relationship with the Syrian government. What is clear is that SOHR is a very opaque organisation. It is very strange that the media are effectively giving the word of one man based in the UK greater weight than those of local authorities, humanitarian organisations, and activists on the ground, without asking questions about his method, sources, and background. It is the responsibility of media organisations to make sure that their sources are credible. Other organisations, much more reliable than SOHR, are available to provide the media with information. After Aleppo: Civilian areas targeted by pro regime forces. Report by the Secretariat to the All-Party Parliamentary Group Friends of Syria, 2 January 2017. Ceasefire Near Collapse Amid Pro-Assad Offensive on Wadi Barada, by Scott Lucas, EA World View, 4 January 2017. 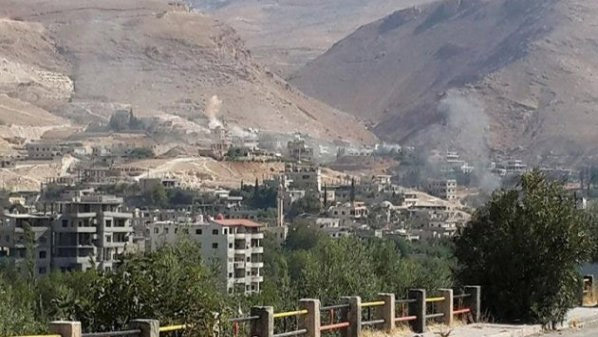 Wadi Barada: What Happened to Damascus’s Water? By Nick Waters, Bellingcat, 4 January 2017.